Discussion in 'Ad Campaigns' started by LilyBird, Feb 8, 2004. 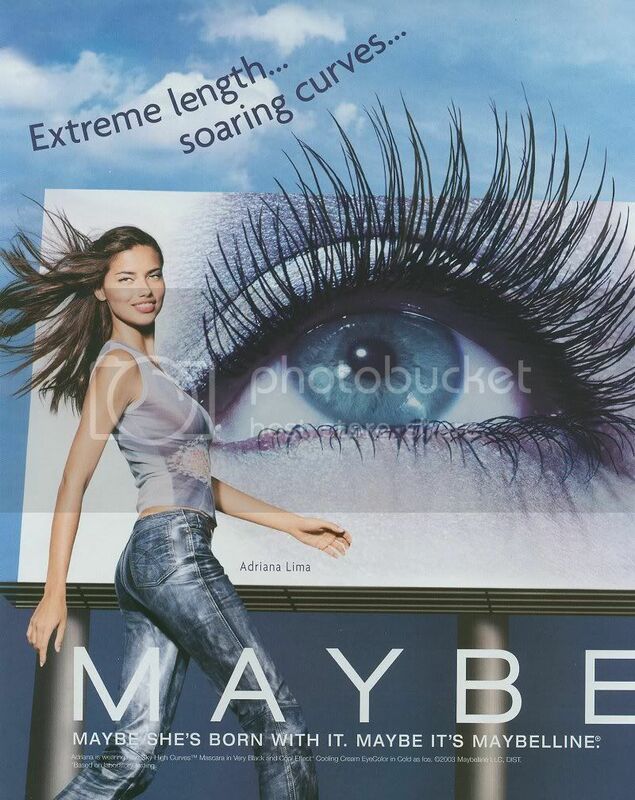 Has anyone seen the commerical for Maybelline with Adriana Lima in it? At the end she says, "Maybe she's born with it", but she isn't saying it! They totally dubbed (used another girl's voice) her heavily Brazilian accented voice. I find this really weird, has anyone else noticed this? They do that to all there models probably because people might find her hard to understand. In most cases, the will dub the models voices. Especially if the model has an accent. They did the same thing with Fernanda Tavares. I was watching her commercial and her voice was dubbed. They also dubbed Laetitia Casta in a L'Oreal spot a while back. I've only seen the print ads because I don't live in the US but I don't think she looks very good in them. Beautiful girl though. I hate it when they dub model's voices! I adore hearing accents come through - like Carmen's J'adore ads! - but I guess they just have to please the masses. I wondered about her voice too. Sounded weird. I liked seeing her without all that goop on her eyes... don't get me wrong, I love black eyeliner, and the smokey looks (think Victoria's Secret), but she's such a sweet-looking girl without it. But of course Maybelline dubbed her voice.. it wouldn't make a whole lot of sense to Maybelline wearers to hear an accent like that, it's not their target audience. There's another commercial where it's actually her voice. Strong accent. Anyone else seen that one? by the way, there's an overwhelming abuse of the emoticon on this thread. I think it's quite appropriate.